This is one recipe two different ways. 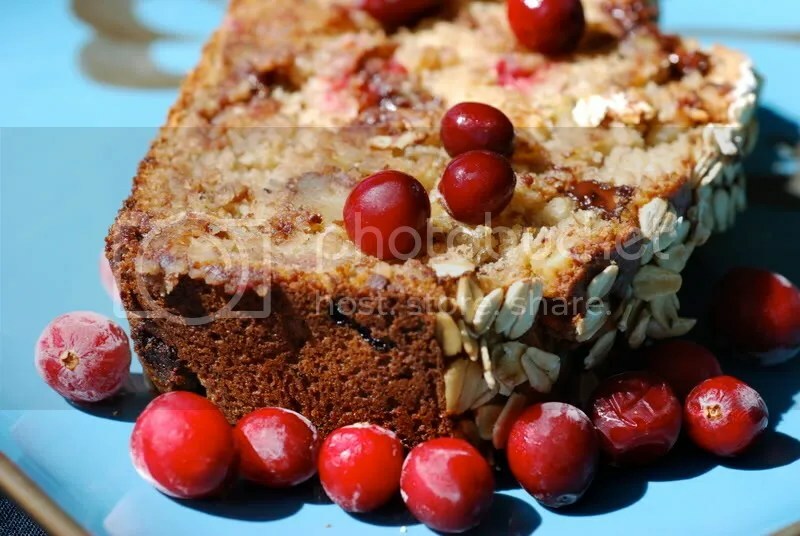 And yes, it is yet another recipe featuring the banana-cranberry duo. What can I say? I live in Hawai’i – that means I almost always have bananas sitting on my kitchen counter. I also still have those bags of cranberries lingering in my freezer, which are a constant reminder of my gluttonous hording every time I open the freezer door. 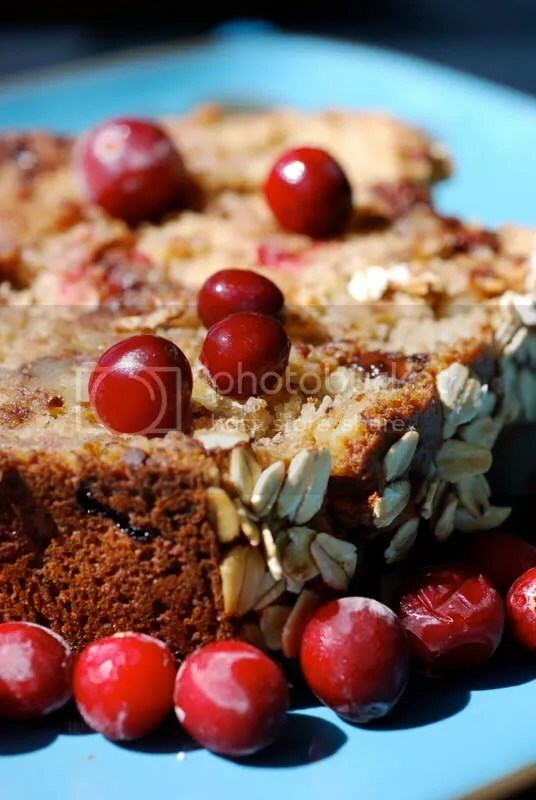 Consider these cranberry recipes my penance, an attempt to atone for my rapacious behaviors. Happily, cranberries add a lovely burst of tart to what could otherwise become overly sweet concoctions. I used this particular recipe to first make muffins and to then make a loaf of bread. I adjusted the recipe slightly from the muffins to the loaf, including the addition of chocolate chips to the loaf (mmmMMMmmmmm … you can’t go wrong with chocolate, bananas, cranberries, and walnuts ….) 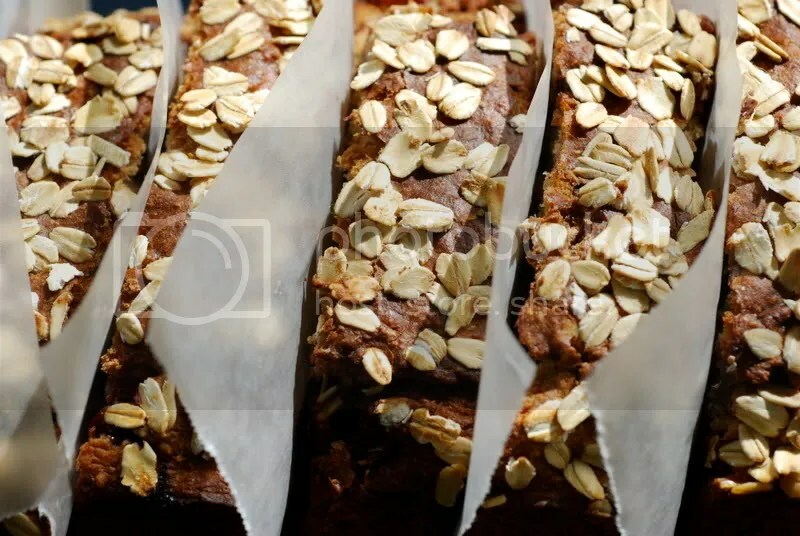 Before we get started with the recipe, however, I think that I should take a step back for a moment and explain some of my ingredient choices, which are certainly recurring items in my baked goods. Vegan baking is decidedly different from the traditional form of baking in that it excludes that universal binder: eggs. Replacing other dairy items – milk, butter, and even cheese is easy given the abundance and wide availability of soy, nut, rice, and oat milks, soy butter (my favorite being Earth Balance), and soy cheeses such as Tofutti cream cheese. Eggs are the only things for which there is not a direct replacement. Eggs serve two purposes in baking: they bind together ingredients and they add moisture. There are many egg replacement options for vegan baking, including egg replacers such as Ener-G Egg Replacer, apple sauce, bananas, oil, and soy yogurt. I almost always use soy yogurt as I find it adds tremendously good moisture to baked goods (and it helps to avoid what is commonly referred to as “the vegan texture” – baked goods that are dense, dry, and crumbly. I have made it my personal mission to make baked goods that no one even feels the need to qualify as vegan – they are just damn good treats.) When replacing eggs, I use a ¼ cup soy yogurt per egg ratio. Often times I will also use just a little oil to assist with the binding of ingredients in a recipe. One other ingredient that may leave a vegan chef scratching their head when it comes to replacing it is buttermilk. By adding apple cider vinegar to soymilk you can recreate the effects that buttermilk will have in a recipe. The vinegar acts as a coagulant in the soymilk and thickens it up nicely. 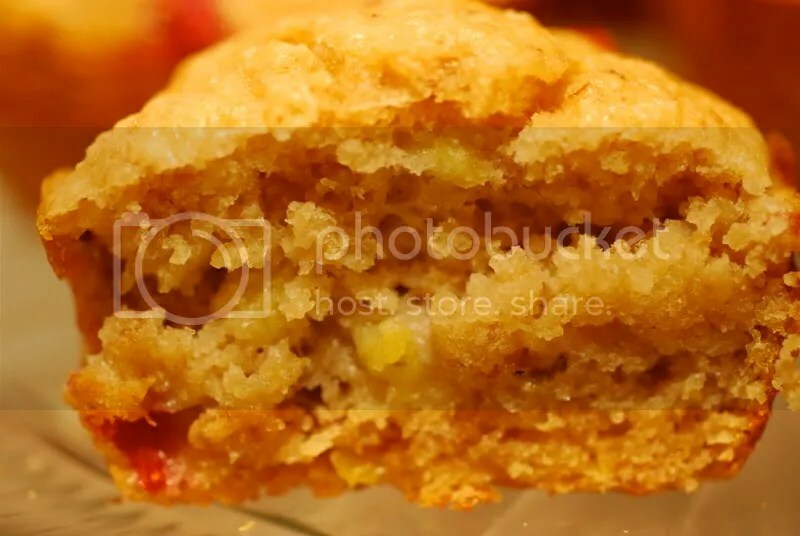 In this recipe I used both whole wheat flour and oat flour. You can buy oat flour at the store, but I just make it myself by processing whole oats in my Magic Bullet or food processor. You can also replace the oat flour with the flour type of your choice or just use all whole what flour. The muffins served as dessert, breakfast, and a power snack with peanut butter smeared on top. The loaf was brought to a potluck barbecue and performed a blink-of-an eye vanishing act. I brought the loaf to the potluck pre-cut and separated with pieces of wax paper, which made it much easier to enjoy at the party without the hassle of having to cut the loaf. 1. Preheat oven to 325F. Lightly grease your muffin tin. 2. Mix the soymilk and vinegar and set aside for five minutes. 3. Mix together the soy yogurt and sugar with an electric hand mixer until well blended. Mix in the mashed bananas, soymilk mixture, oil, and vanilla and mix until well incorporated. 4. Sift in the flours, baking powder, baking soda, and salt and beat until just blended. Fold in the walnuts and cranberries. 5. Fill each muffin tin to almost the top. Bake for 20-25 minutes, until lightly browned. 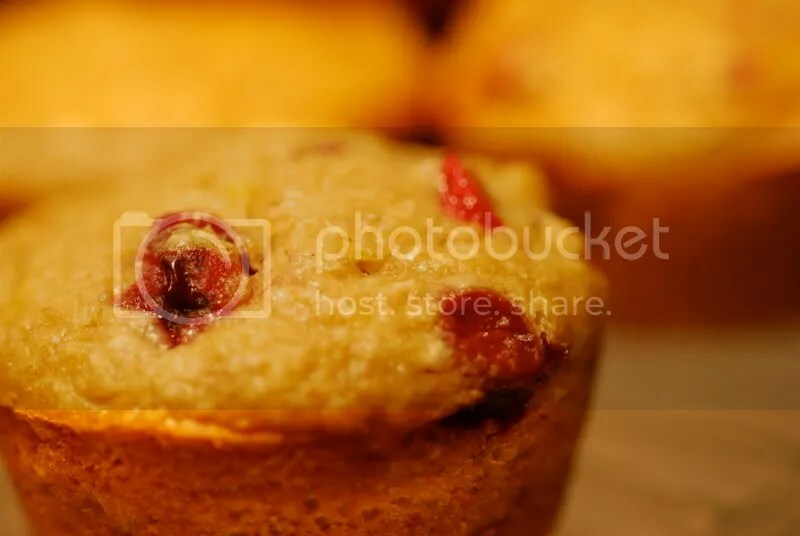 Turn out muffins onto a wire rack, cool, and enjoy! 1. Preheat oven to 350F. Lightly grease your bread pan. 4. Sift in the flours, baking powder, baking soda, and salt and beat until just blended. Fold in the walnuts, cranberries, and chocolate chips. 5. Pour batter into the bread tin, smooth the top with a spatula, and sprinkle with oats. Bake for one hour, or until lightly browned. Turn loaf out onto a wire rack, cool, slice, and serve. I just toss the berries in frozen. This helps them to maintain their shape as often times fresh berries will become mushy when being folded into batter. I hope this recipe produces delicious results in your kitchen! By the way, I noticed there weren’t any chocolate chips listed in the bread recipe.